Any extra cash added to oneâs income is good and that is exactly what Anella Quammie got from Massy Stores. 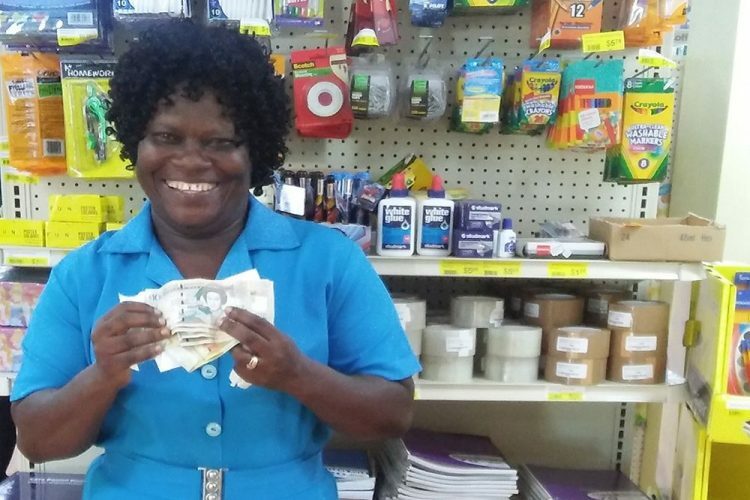 Quammie is the 2017 winner of Massy Storeâs Back to School promotion and as a result, the lucky woman walked away with EC$1,000. Marketing assistant at Massy Akene Keizer said the Massy Back to School promotion ran from July 21 to August 31 and is held each year with the aim of aiding parents who have school aged kids. The seasonal promotion also saw three others rewarded in the persons of Ewan Martin, Giselle Young and Everlyn Matthews. Martin won himself a Massy School Combo Pack; Young received 20,000 Massy loyalty points; and Matthews won a Massy Back to School Gift Basket. Keizer said persons were entered in the Back to School promotion when they spent EC$50 or more and swiped their Massy Cards between July 21 and August 31. They were given a receipt on which they entered their contact information. That receipt was then placed in a raffle.